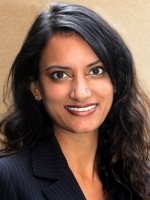 Bronx Defenders Civil Action Supervising Attorney and Team Leader Runa Rajagopal will be leading a panel on Friday, February 27th at the First National Summit on Collateral Consequences in Washington, DC, presented by the ABA Criminal Justice Section in collaboration with the National Institute of Justice. Runa’s panel, entitled “Real Life Collateral Consequence: Stories from the Field,” will explore the real-world collateral consequences of criminal convictions and prosecutions. Comprised mainly of leaders who practice in the field, the panel will discuss federal, state, and local practices. Panelists will also share their own experiences with pre-trial diversion opportunities. To view the full program click here.